Introitus, s.m. entrance, it refers to the antiphon that is spoken or sung at the beginning of the celebration. That is, the part that changes over the liturgical year. The Vocal Ensemble Introitus integrates soloists' elements which originate from several vocal gatherings emphasising the Gulbenkian Choir and the Gregorian Choir from Lisbon. The founding members of this group met in the beginning of their musical training and since then have been working together in obtaining a distinct elevated tone. 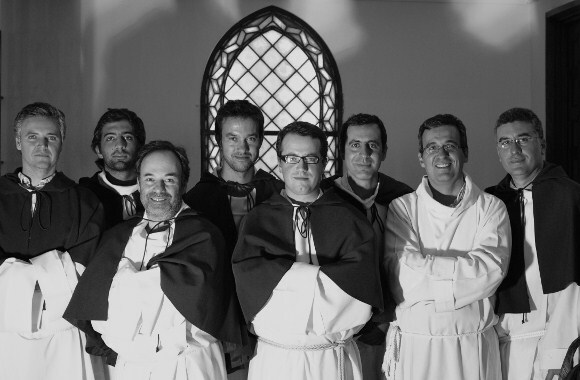 With special emphasis on ancient music the Vocal Ensemble Introitus intends to go through the entire repertoire of male voices, beginning with Gregorian Chant up to the present day. Each program is based on a musicological study which enables a substantiate interaction that is both didactical and innovative with the public. During the Vocal Ensemble Introitus performances the scenic dimensions have been calculated with the possibility of incorporating instruments. The Vocal Ensemble Introitus which has toured all of Portugal has also placed great importance's in regular appearances outside their native country.